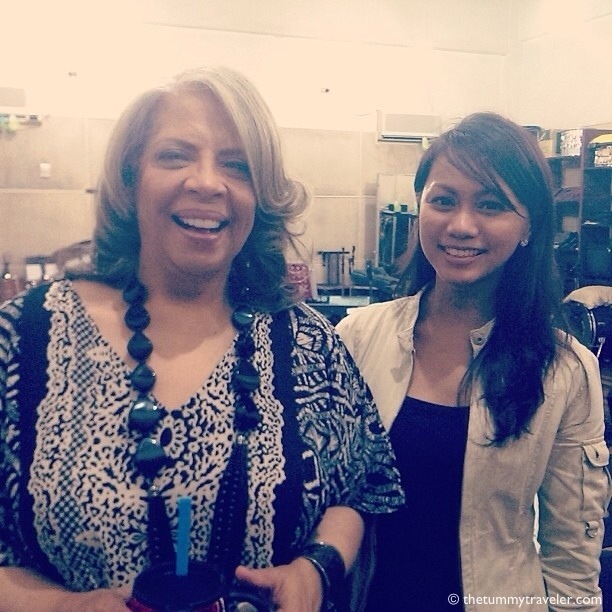 I posted Patti Austin’s concert 2 months ago and now, I am posting about my up close and personal moment with her! 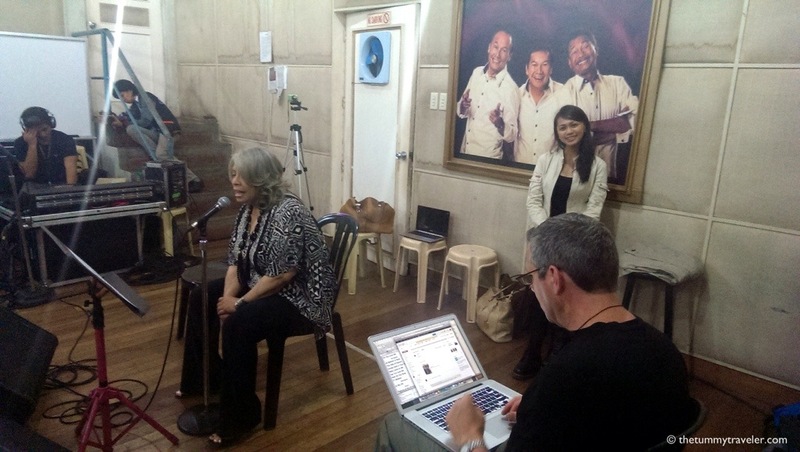 Last September 4 at 7:00pm, I saw Patti Austin live! Not during her concert, but during her band rehearsal in a studio in QC. I was absolutely starstruck! 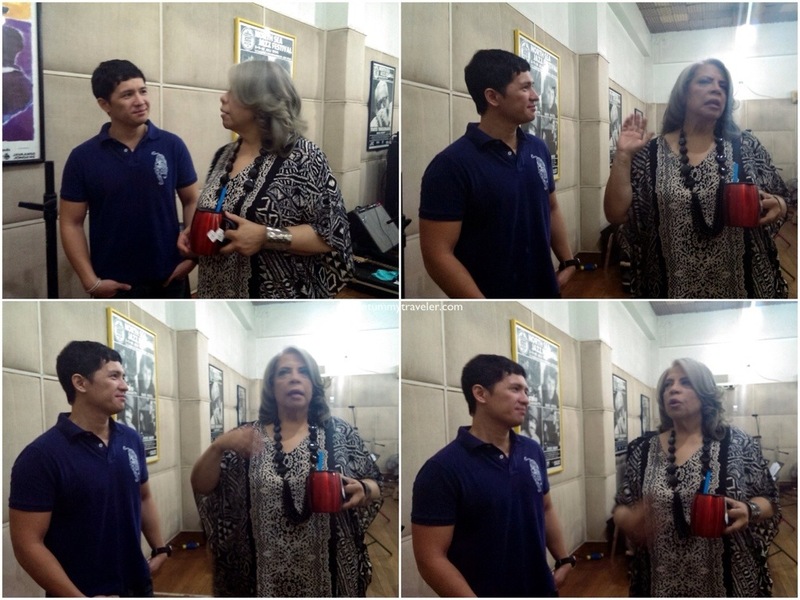 My jaw dropped when Patti Austin arrived in the studio. Well… My husband often teases me that I easily get starstruck with our local actors. But hey, this was one solid moment with an INTERNATIONAL SUPERSTAR! It was just me, my husband, John Bueno of Kumagcow, a few staff from Ovation Productions, the Filipino band and Aileen Siwa (who invited us). Just got lucky! I grew up singing Patti Austin’s songs. Watching her practice felt like being in an intimate concert. In fact, it was waaaaay better than watching the concert itself! People from my generation very well know how beautiful her songs are. Timeless and classic! Here is a pic I took of a copy of Patti Austin’s repertoire. I was singing along to ALL her songs the entire time she was practicing! But wait, there’s more! We were able to have a brief interview with her. My husband literally rubbing elbows with Patti! Sorry, “feeling close” na rin ako! Heehee! Here is a video my husbad made. If you are a Patti Austin fan, I’m sure you will enjoy watching this! I still get goosebumps whenever I think of this moment! Yup, a Patti Austin fan right here, no doubt! 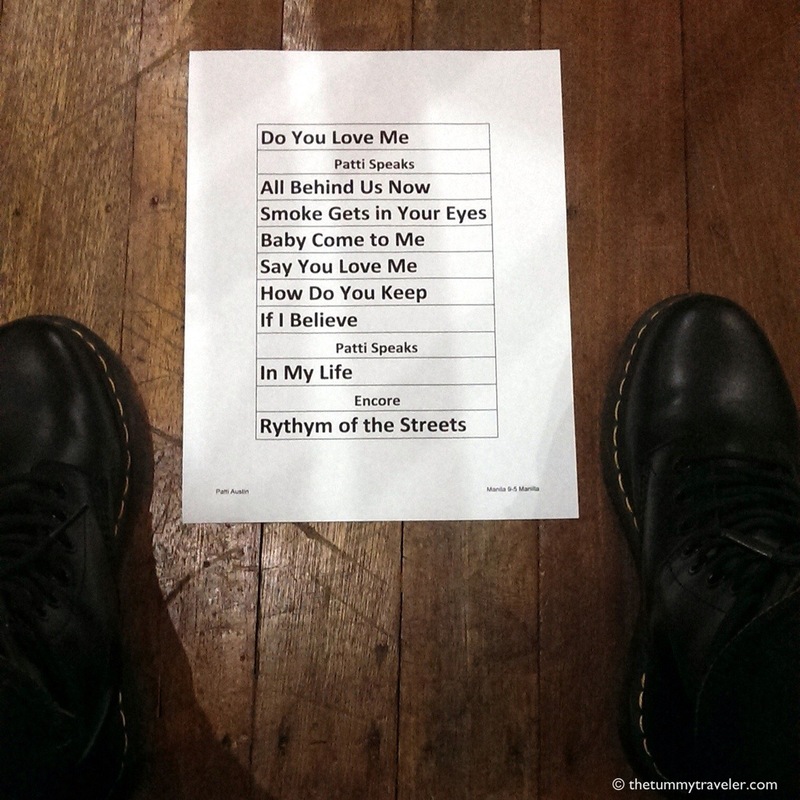 You are Here >> Home » Uncategorized » Starstruck!